Head goose dog "TUBS" resting up dreaming of ducks and geese. Hopefully with cold weather in the forecast and some consistent NW winds the geese and ducks will show up in large numbers. All the blinds are brushed decoys loaded up and guns cleaned. Good luck to everyone going out. Hunt safe and enjoy the quality time with friends and family. 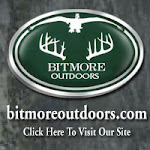 Follow the blog throughout the duck and goose season to see how the Bitmore Outdoors crews are doing. "If your not out hunting your being out hunted"